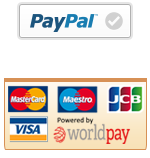 Our best gunslips are available in cowhide, pigskin or canvas. 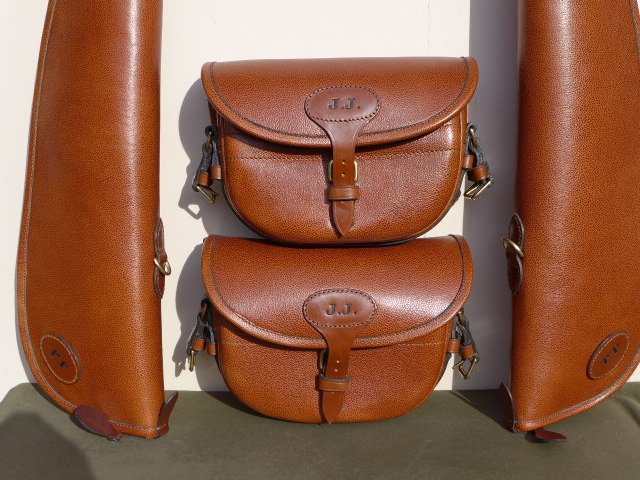 These slips are beautifully made from the best quality leathers, YKK zips, rot proof thread and have the best bridle hides, which combined with a real Australian sheepskin Shearling lining show English craftsmanship at its best. Pigskin Gunslips are available in Dark Havana Only. 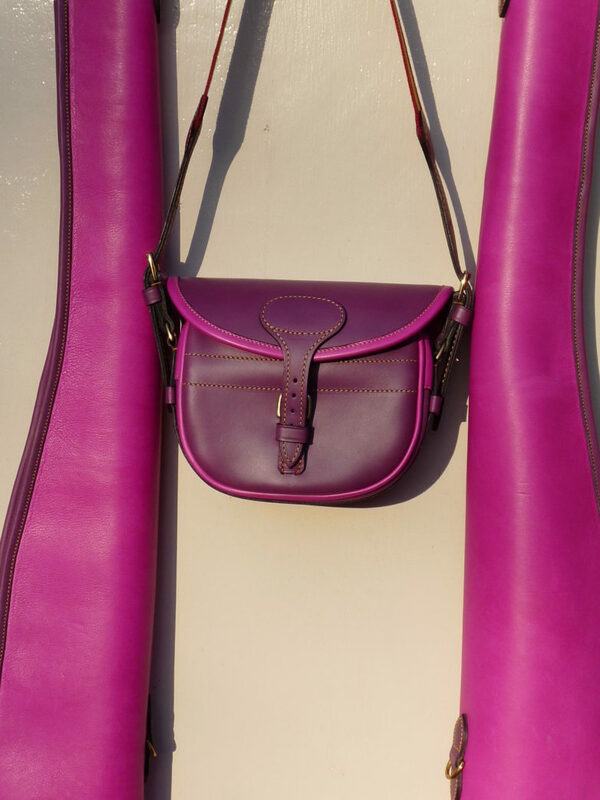 Cowhide Gunslips can be made in a variety of colours, please contact us to discuss your order. FSA produces the finest gunslips available anywhere in the world. They are made in house by a specialist worker who has used the same materials and patterns for over 40 years. 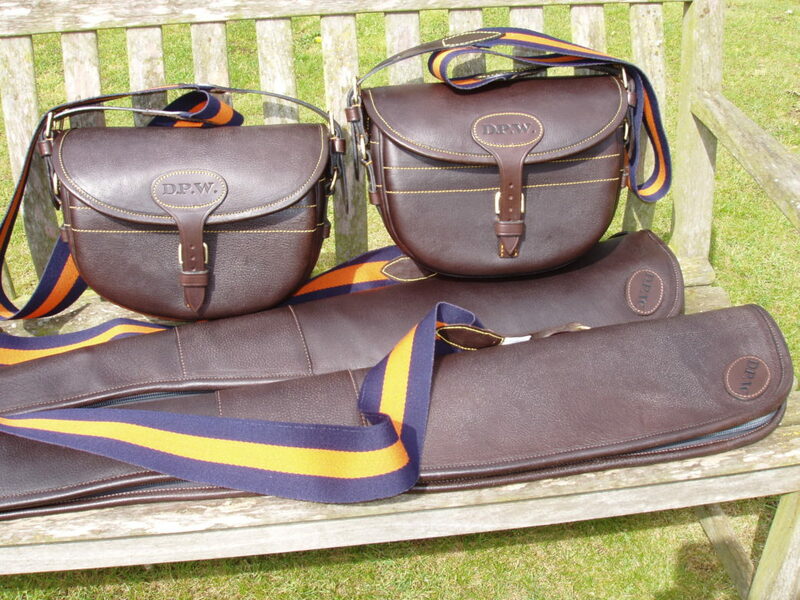 Our gunslips and cartridge bags will last two generations and as such are the cheapest available. These slips are beautifully made from the best quality leathers, YKK zips, rot proof thread and have the best bridle hides, which combined with a real Australian sheepskin Shearling lining show English craftsmanship at its best. 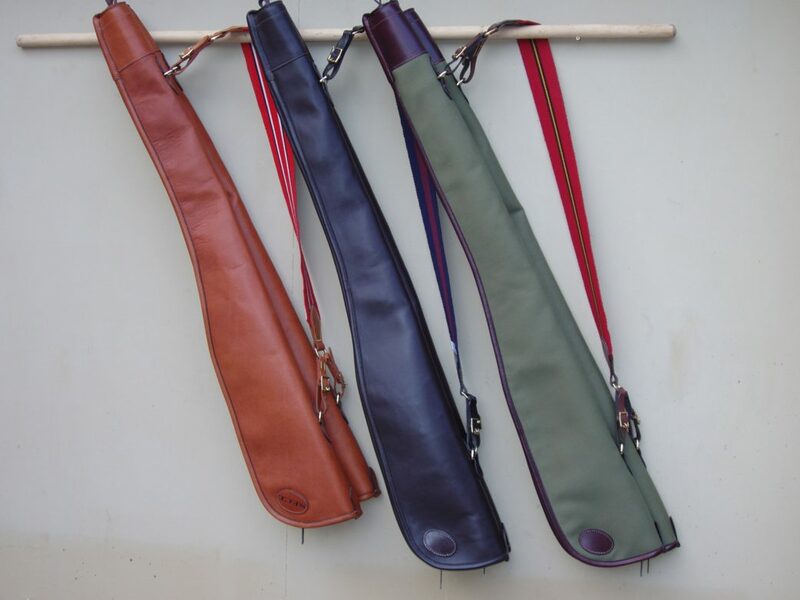 When choosing a gunslip many people spend time looking at he quality, colour and general make up of the slip but we always draw attention to the inside, which is the most important feature as this provides protection for the gun inside. The gun may be valuable in terms of pounds sterling or valuable in history, affinity or potential, but the gun and the protection offered by 3/4″ clipped sheepskin cannot be overstated. 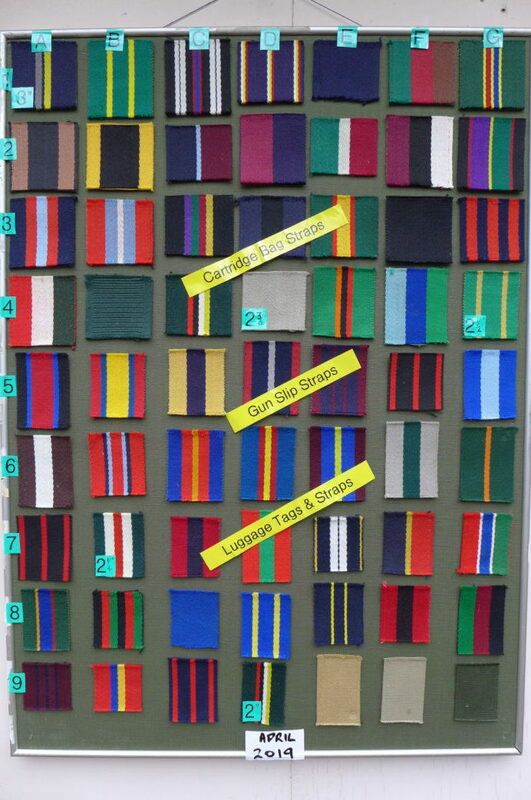 Many slips are sold as sheepskin lined but they are in fact an acrylic material, they look satisfactory but the pile is short and goes flat quickly. We re-zip many slips and the majority are lined with imitation sheepskin which by the time the zip goes has gone flat and has the feel of rough carpet. Acrylic sheepskin is a very poor substitute for our best quality sheepskin which is dyed dark brown (the slip will last two lifetimes and white sheepskin will be filthy after a few seasons of heavy use). As a check, a slip with a genuine sheepskin lining then it will have a visible join somewhere on the inside, if no join is visible then the lining is an acrylic material and has been used to save money. 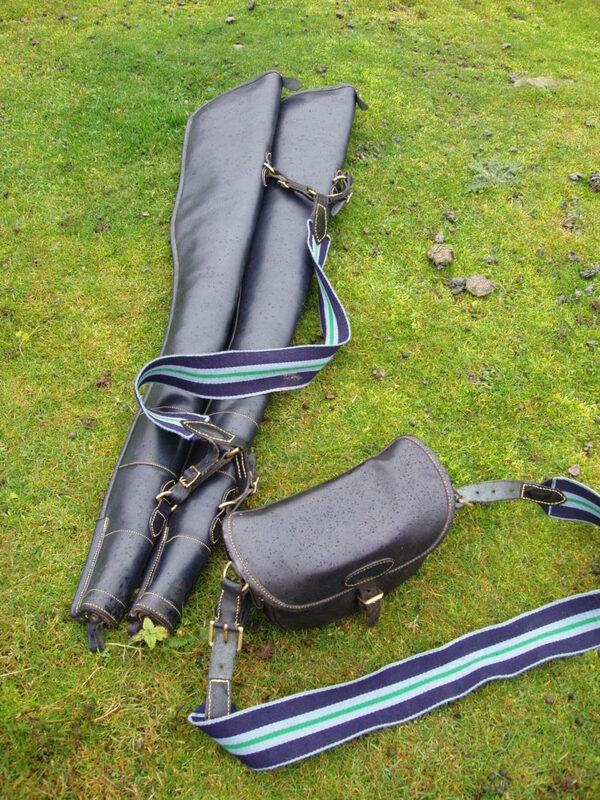 There isn’t a sheep alive that has fleece big enough to line a 30″ gunslip in one piece. 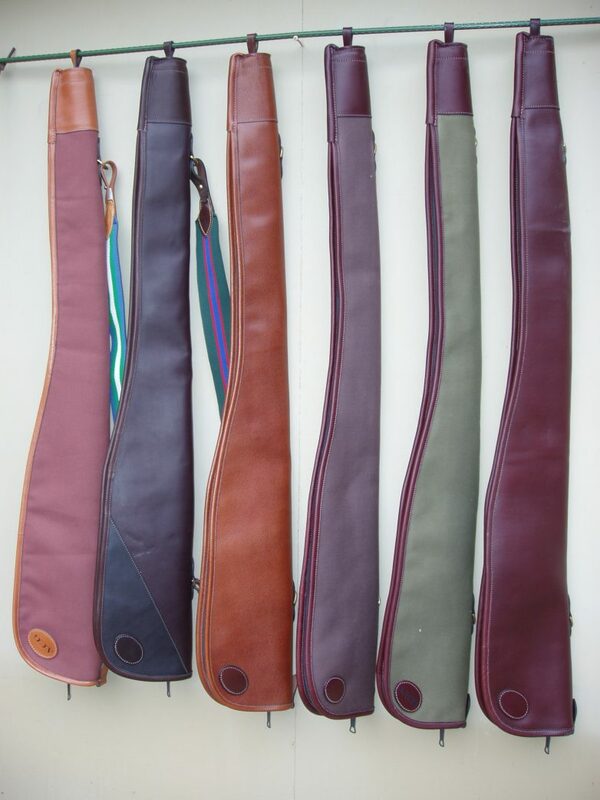 We also stock some Exotic Skin Gunslip should these be off interest. 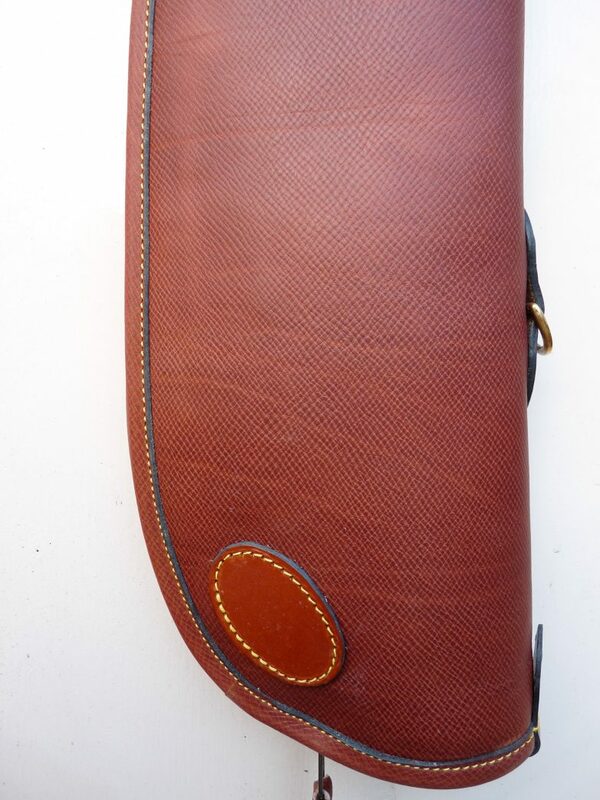 Cowhide Gunslips can be made in a variety of colours and textures, please contact us to discuss. 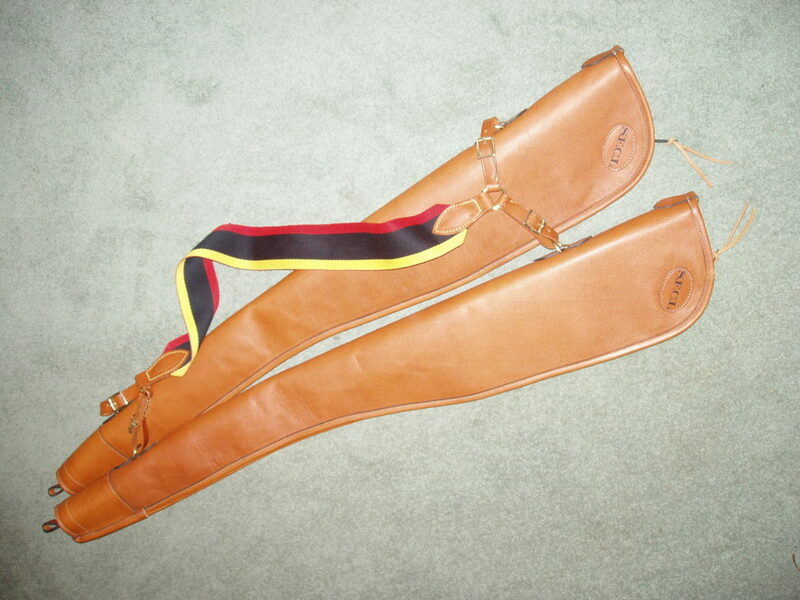 Exotic Gunslips – Normandy Cowhide, Red Heartebeast, Ostrich, Burchill Zebra. 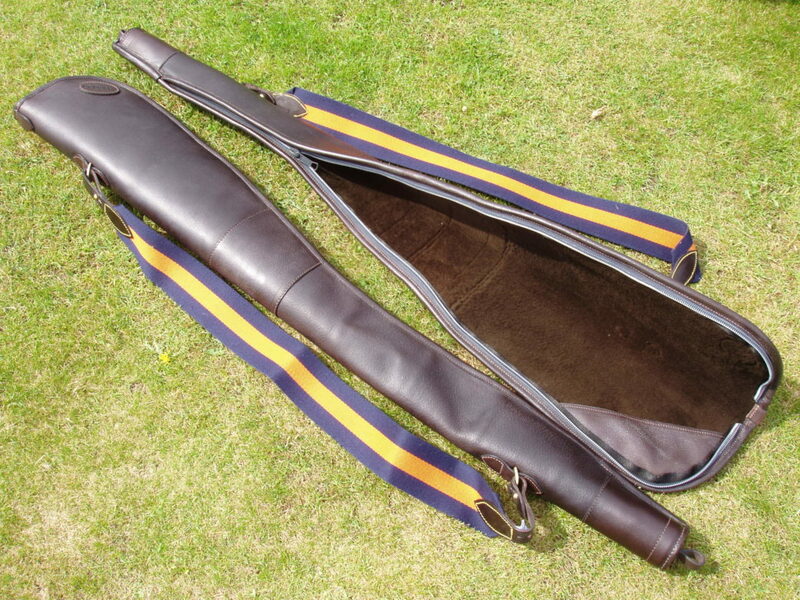 Rifle Slip – Hill Slip, Made to Measure.